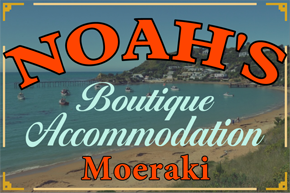 All accommodation at Noah's provides heating, electric blankets, wool underlays, feather duvets and pillows, smart TVs, heated towel rails, free parking and WiFi. A fully equipped kitchen plus clothes washing machine is also available for guest use. 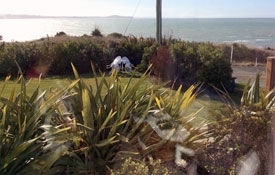 A self-contained studio unit with a king-size bed, a sea view, a smart TV, fridge, toaster and tea/coffee-making facilities. 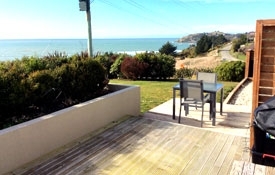 There is also an outside deck area with seating, so you can relax and enjoy a glass of wine, a cup of tea or coffee, and the views on a beautiful day. 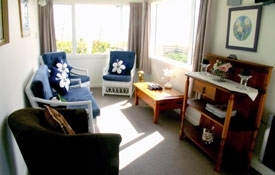 A guest lounge adjoins units 1 and 2 for those travelling together or this may be privatised for either room on request. Sleeps 2. 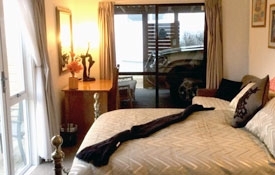 $210.00 2 Guests for a one night stay. 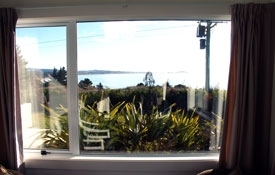 A self-contained studio unit with a queen-size bed, a sea view, a smart TV, fridge, toaster and tea/coffee-making facilities. 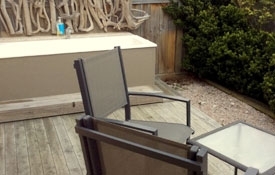 There is also an outside deck area with seating, so you can relax and enjoy a glass of wine, a cup of tea or coffee, and the views on a beautiful day. A guest lounge adjoins units 1 and 2 for those travelling together or this may be privatised for either room on request. Sleeps 2. A self-contained studio unit with a queen-size bed, a rural mountain view, a smart TV, fridge, toaster and tea/coffee-making facilities. This studio unit adjoins the kitchen. 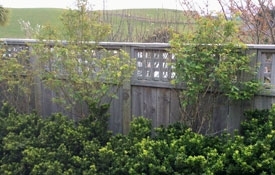 This unit also boasts a private courtyard with rural views, afternoon sun and a heated outside bath (on request) for your enjoyment. Sleeps 2. 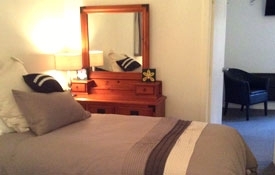 An adjoining bedroom that sleeps 3–4 people is available if required. 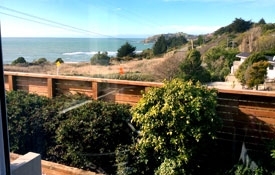 Stay for 1 night (2 Guests) $180.00. 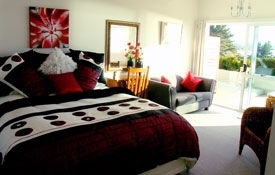 Our family area offers a Queen Studio (queen-size bed) plus adjoining family room with (queen-size bed, king-single and single if required) and sleeps 5–6 people. 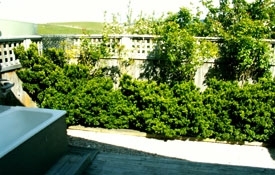 The suite has a private courtyard, rural/mountain views, fridge, toaster, tea/coffee making facilities and private bathroom. 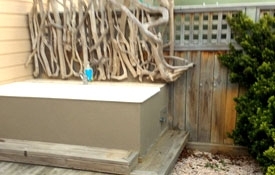 An outdoor bath is available (at extra cost) for a romantic night under the stars. 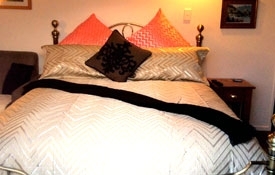 All accommodation at Noah's provides heating, electric blankets smart TV's, heated towel rails, free parking and WiFi. A fully equipped kitchen is also available for guest use. 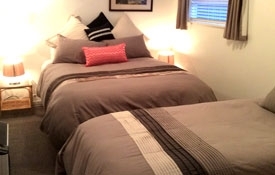 Stay for 1 night (3 Guests) $220.00. 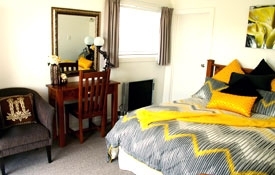 Our 2-bedroom suite offers private studio facilities for 2 separate couples each with their own bathroom, outside dinning/deck area, toaster and tea coffee making facilities. 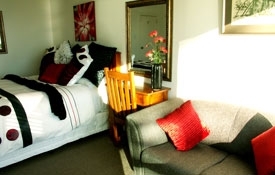 Accessed from both studios there is a guest living area. 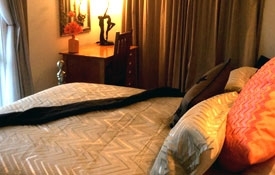 Stay for 1 night - $420.00. 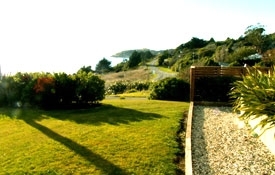 2 nights or more pay only $340.00 per night (4 guests). 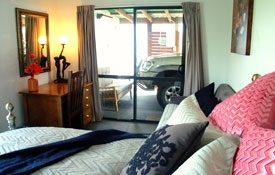 Stay at Noah's from $140.00 for 2 persons for 2 nights or more. Our fully equiped kitchen is available for all guest use.